Waste Management has advised the city that their company will begin processing the credits to Leon Valley residents' accounts this month, to include any late fees that were charged. The customers that had already paid their bill should receive a check in the mail by the end of February. 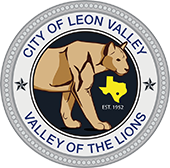 On behalf of the City of Leon Valley, we apologize for Waste Management billing our citizens in error and for any inconvenience this may have caused.